In general parts can have any of these sections and may adapt from one section to the another over the length of the object. All objects can be linked together to form a tee, bend or junction and Sheet Lightning will work out the intersection and unfold the flat patterns for all the intersecting parts. 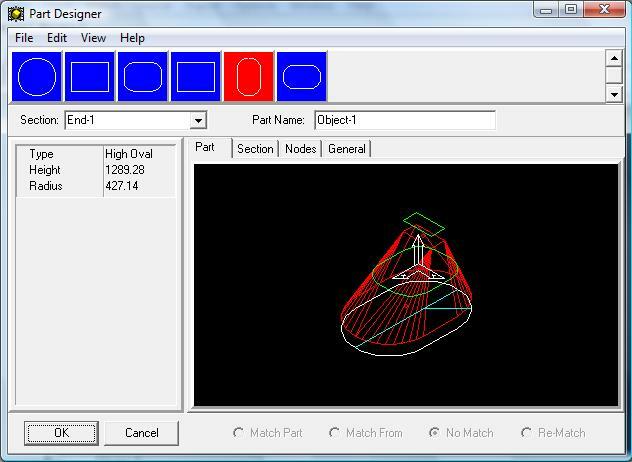 This includes the capability to design customized complex multiple intersections involving any number of objects. Click the link for more information on the design libraries.